So, who wears bobble hats indoors then? Well, as it turns out, my two little girls do! 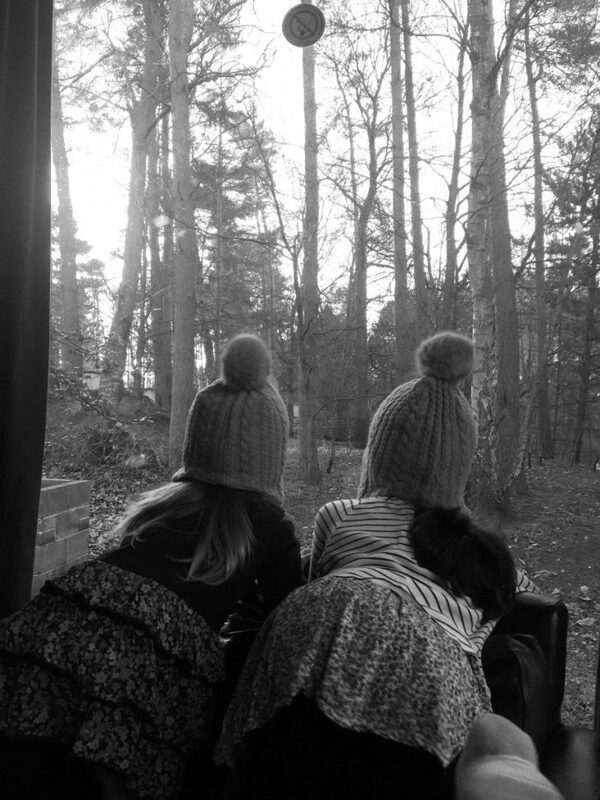 As I came out of another of the rooms, I turned the corner into the living area to find both Holly and Ella, almost snuggled up on a single chair together, both staring out into the woodland outside wearing their new bobble hats which Father Christmas gave them this year. It was probably because we were all getting ready to go out, but I think they were a bit on the excited time and were therefore ready a little prematurely! Being away for New Year meant it was a little cold outside, and unfortunately a bit wet too. But of course, this didn’t stop the vast variety of Centerparc’s wildlife coming to visit at our patio doors. Seriously, all you have to do is open the door, and the sound of the window pane sliding across is enough to bring little feathered or furry visitors coming to the door to get you. There was one day where, just outside the door were three muntjac deer, a heron, a couple of rabbits, a very friendly squirrel and a whole array of water birds! I was beaming from ear to ear, and totally felt like I was Snow White! You see, I have always loved anything to do with birds and animals, and Centerparcs really is a wonderful place to see some of our amazing wildlife up close. theyre so I afraid which is just lovely, though my friend just says they’re brazen! Haha. but whatever they are, it is such a lovely experience for little ones to watch and learn about these creatures. I loved that Holly would come blinding up to me, telling me what she’d just spotted, even able to differentiate between a coot and a moorhen, which is something I’ve always got confused with. See – I told you I was a bit of a wildlife geek! I believe it’s important for our children to learn about animals and to respect them and their habitats. So obviously I was a very proud and contented mummy. 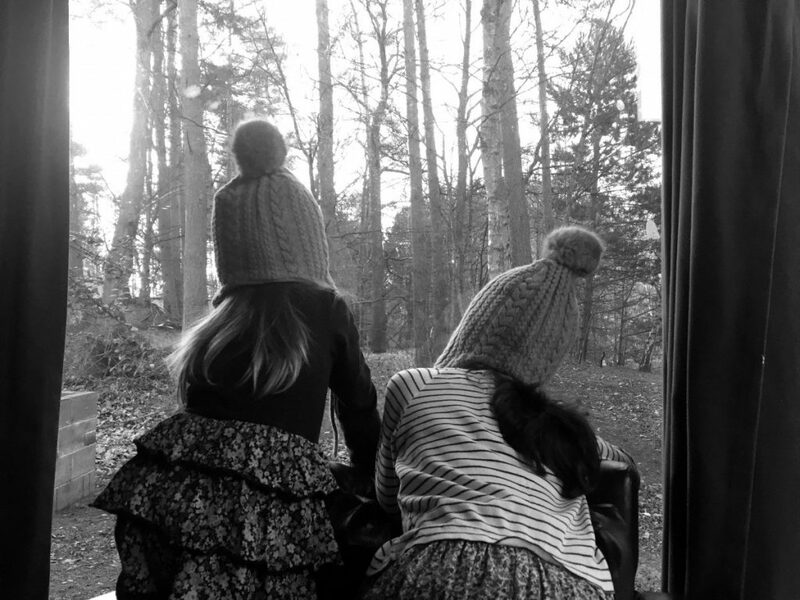 Watching as my girls gazed out of the window, whilst in their bobble hats! Hi Steph, they are nice photos, my favourite is the one from the side; I would love to know what they are focusing on! 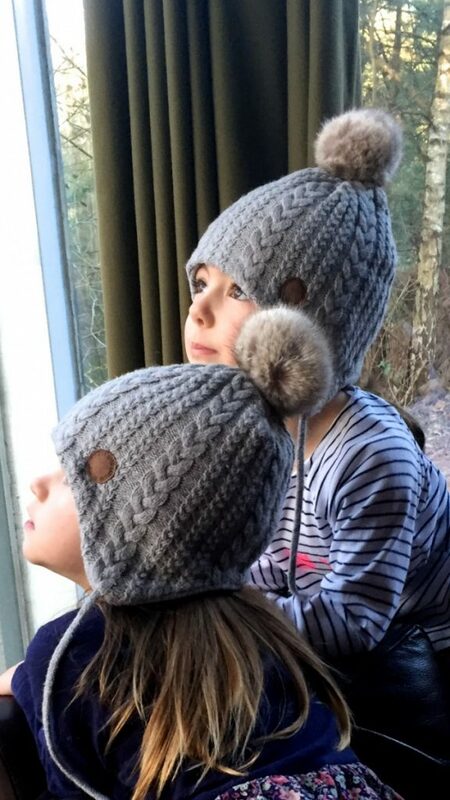 They are mighty fine looking bobble hats, Father Christmas has taste! I had no idea that there was such an abundance of wildlife in a Centerparcs. Teaching children about nature is important and what better way than when it’s right there on the doorstep?